RALEIGH — The federal government and Gov. Roy Cooper’s administration remain on course for a legal battle over the push to open the East Coast to offshore oil and gas exploration and drilling. After a weekend meeting with Secretary of the Interior Ryan Zinke, Cooper said he had reiterated his request for an exemption similar to one given to Florida, telling Zinke the state would sue if the Trump administration moves ahead with oil and gas exploration off North Carolina’s coast. Cooper also called on residents to get involved and keep up the fight. “I call on the citizens of North Carolina to be loud about this issue,” Cooper said during a press conference after the Saturday morning session with Zinke. 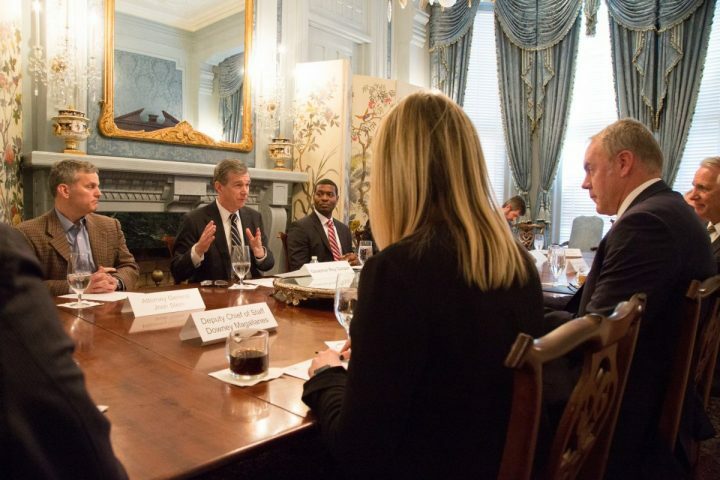 Cooper was joined in the discussion at the executive mansion in Raleigh by representatives of the coastal region, who he said conveyed concerns to Zinke about the potential risks to the coast’s unique environment and an economy based on tourism and fisheries. On Friday, Zinke met with South Carolina Gov. Henry McMaster, who also asked for an exemption to the proposed leasing program. Since the announcement last summer that Atlantic Coast waters would be reopened to oil and gas leasing, states have been lining up to seek exemptions. 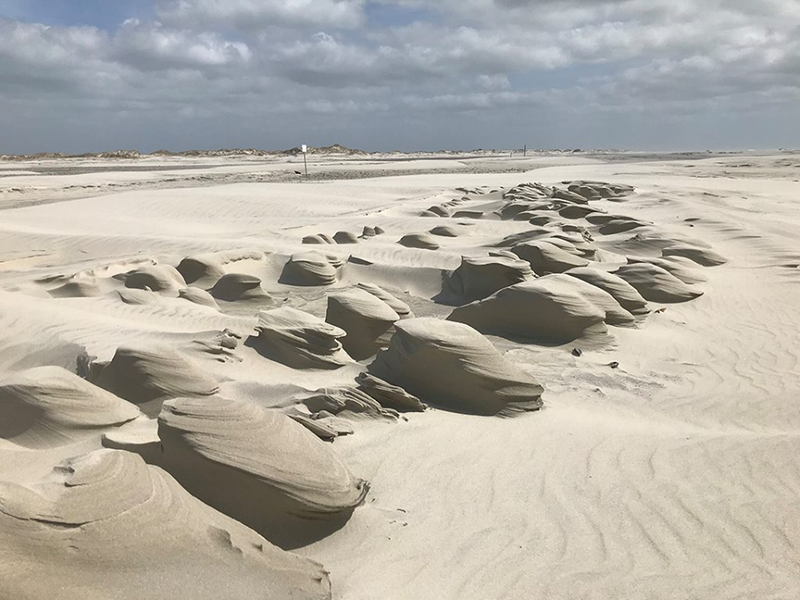 The pressure grew in January when Zinke granted Florida an exemption on the grounds that the state’s economy was too heavily dependent on coastal tourism. Cooper said North Carolina deserves the same exemption extended to Florida and said the state would take the federal government to court if it is not granted. State Attorney General Josh Stein, who also attended the meeting, said Zinke told the group every governor on the East Coast is opposed to the program. Stein echoed the governor’s threat. “If we are unsuccessful in convincing the secretary to exempt North Carolina from this offshore drilling program, we will take him to court to protect our coast, our coastal economy and our people,” Stein said. 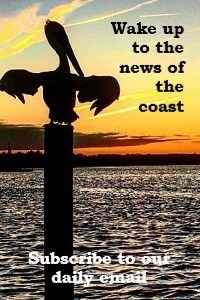 Cooper also asked for the comment period on the Trump administration’s proposed five-year plan announced Jan. 4 that would open almost all U.S. offshore waters to seismic exploration and drilling for oil and natural gas to be open for an additional 60 days and that public hearings in Wilmington, Morehead City and Kill Devil Hills be added to the schedule. The only public meeting planned in North Carolina is set for Feb. 26 in Raleigh as an “open house” information session, not a public hearing. “He seemed receptive to that,” Cooper said of the request. Joining Cooper and Stein for the meeting with Zinke were Department of Environment Quality Secretary Michael Regan; Coastal Resources Commission Chair Renee Cahoon; Stan Riggs, coastal and marine geologist at East Carolina University; Nags Head Mayor Pro Tem Susie Walters; Atlantic Beach Mayor Trace Cooper; Dare County Commission chair Bob Woodard; New Hanover County Commissioner Rob Zapple; Tom Kies, president of Carteret County Chamber of Commerce; and Capt. Dave Timpy, a retired Army Corps of Engineers specialist in coastal engineering who runs a charter fishing business in Wilmington. Timpy said his goal was to explain that the currents off the North Carolina coast would distribute an oil spill not just to the beaches, but into the uniquely rich fishery between Frying Pan Shoals and Cape Lookout. Atlantic Beach Mayor Trace Cooper said he appreciated Zinke’s willingness to listen. Zinke also met Saturday with members of the North Carolina General Assembly leadership. Rep. Ted Davis, R-New Hanover, who attended the meeting, told the Raleigh News & Observer that he had conveyed his concerns about offshore drilling and that Zinke had assured him that a public hearing would be held on the coast. House Speaker Tim Moore, R-Cleveland, in a statement released after the meeting, did not stake out a position on the offshore program, but pointed instead to recently passed legislation on renewable energy as an area where the state and federal government can work together. “We expressed to Secretary Zinke that the North Carolina House will maintain a collaborative approach to our state’s energy policy,” Moore said in the statement. The attitude toward offshore oil and exploration in Raleigh has made a remarkable reversal since 2013 when offshore testing and the potential for hydraulic fracturing for natural gas in the Piedmont were touted as the state’s new energy future by then Gov. Pat McCrory. McCrory said at the time the state could reap millions of dollars in royalties from offshore drilling, although that would have required a major change in federal royalty policy. Cooper said Saturday that royalties would likely never materialize and said Zinke offered no incentives for the state to support the plan. 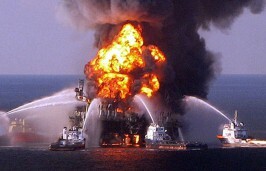 “There is very little evidence that North Carolina would gain much economically from offshore drilling,” Cooper said. Supporters of offshore exploration pushed back against completely writing off the seismic exploration proposal. 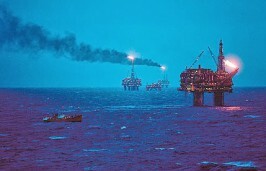 On Twitter, David McGowan, executive director of the North Carolina Petroleum Council, said the most recent tests off the coast are more than 30 years old. “Right now, Gov. Cooper & other opponents want to make a decision without all the scientific data and other the relevant facts available to inform the decision making process. Once we have all the data, it may be clear the resource isn’t there or isn’t economical,” McGowan wrote. Cooper said there “was a little argument back and forth” Saturday with Zinke on seismic exploration. 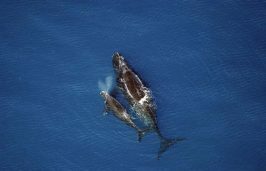 DEQ Secretary Regan had on Saturday made a case against the process, which uses powerful blasts from arrays of air guns to locate oil and natural gas beneath the seafloor, citing concerns about the dangers biologists say it poses to marine mammals. 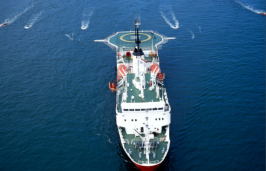 The National Marine Fisheries Service, or NMFS, proposed last June to issue five permits that would allow the oil and gas industry to conduct the controversial seismic surveys for oil and natural gas off the East Coast from the New Jersey-Delaware border to central Florida. In December, DEQ asked the four companies that had received conditional approval to conduct seismic testing to submit additional information on seismic testing taking into account newer scientific studies on potentially harmful impacts to marine life. 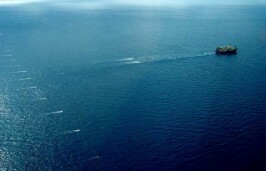 “Our formal legal request was based on new information – recently published scientific studies on the impacts of seismic testing on fish behaviors, zooplankton (including fish larvae), shellfish, and crustaceans among other concerns,” Sarah Young, spokesperson for DEQ explained in an email response to Coastal Review. Young said the new studies show that the proposed surveys will affect North Carolina’s marine resources in ways that are substantially different than originally described in the applications. Young said DEQ is also reviewing new technologies that reduce the potential damage from current air gun configurations. “While arrays are designed to focus sound downward in the vertical direction, a substantial amount of acoustic energy is propagated in a horizontal direction, providing no information regarding the geological characteristics under investigation. This excess energy can become trapped and travel long distances in the water column, and both short- and long-range potential impacts have been noted,” Young said. The governor said DEQ was preparing more information to submit during the comment period. Prev:GenX Questions Continue: What About Food?